This year at Descartes' annual conference, they launched their new Descartes Community, highlighted myriad new solution capabilities, and showcased a number of interesting customers and use cases. Descartes System hosted their annual user conference, “Evolution 2013,” in Miami last week. World-wide attendance from across the logistics community makes this conference an important, must-attend event. These conferences have a blend of product announcements, road maps for the future, customer case studies and updates from government officials who are involved in regulating global logistics. This conference agenda is planned by the users, so it was low on marketing hype and high on content. Here are some of the highlights. I found the keynote by Descartes’ CEO, Art Mesher, to be refreshing, which is not something I would say about many software solution provider CEO keynotes. A lot of it was about their culture and company philosophy. 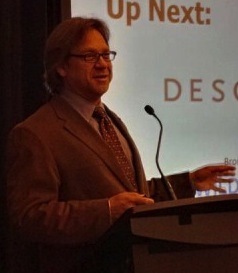 Art was clearly proud of Descartes being designated as of one of Canada's 10 Most Admired Mid-Market Corporate Cultures and stressed how important that was to him. He said Descartes customers and employees are a special breed—people who really care about excellence in logistics. Art talked about how they lead with their intellectual property, doing things that have never been done, and as a result things will sometimes fail. How a company responds to failures, problems, and challenges reveals the true character of that organization. Art said one of their customers told him, “When things go wrong, you are a great company.” He also explained that leading with IP also means that their sales process is a process of mutual discovery of how to solve the customers’ problems. That requires real domain expertise. As he put it, “We have best-in-class customers who have best-in-class problems.” Descartes emphasizes metrics, to ensure customers know exactly what they are trying to accomplish and how to measure success. Then Art talked about the inclusiveness of their network, how Descartes GLN (Global Logistics Network) connects to 26 other networks, with 171,000 connections, 4.7 billion messages processed yearly, with customers in 160 countries. Having that many parties already connected reduces onboarding efforts for customers. That also requires federating and uniting all their variety of customers—LSPs, carriers, brokers and forwarders, manufacturers, retailers, and distributors. Descartes refers to the provider of this type of federated, vetted platform as an Entrust.1 The entities using these trusted platforms each require very different types of tools and services, yet they need to share information or bond together in workflows. Descartes architecture was designed with that in mind: a distributed, loosely coupled system that allows many different subsystems to integrate, rather than one monolithic master system. Further, they take seriously their role as the trusted party in the middle, by providing strong authentication and credentials to authenticate participants, security, and controlled confidential information sharing. Art also talked about the high level of investments they make to continually improve their products: $26M in annual R&D investment, representing 18% of revenue and 40% of operating costs. Part of their investments have gone to acquisitions, making them a strong leader is specific categories and logistics markets such as the NAFTA corridor and EU, as well as a critical partner with many home delivery business models. That investment in products and people has paid off. 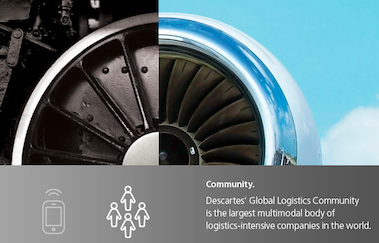 Descartes has over 10,000 customers, 30 quarters of uninterrupted growth, $140M in annual revenue, and a six-year CAGR2 of 28% for Cash Generated from Operations. Art stressed how stable Descartes is as a going concern, with a very predictable revenue flow, a very strong balance sheet, and shareholders who are comfortable with steady growth, which means they don’t need a “Casanova Complex in our salesforce” in order to satisfy the street. He also stressed how many potential dimensions they have for future growth, expanding the number of communities enabled, applications offered, processes managed, and industry served. A conference of this size has a lot going on. Here are some of the highlights. Lisa Ozkan, Sr. Partner Products Manager at NetSuite, and Sergio Torres, VP Product Strategy at Descartes, discussed the integration between Descartes’ Route Planner On-Demand and NetSuite’s Order Management and Customer Service functionality. This is an important partnership for both companies. NetSuite has been continuing to build out their Wholesale Distribution market, Retail/e-commerce, and supply chain solutions. Descartes has partnered with ‘big ERP’ for many years. Now they can effectively reach the mid-market and smaller enterprises. One of the main goals for this integration was to make implementation fast and simple. With both companies focused on the ‘e-tail market,’ this partnership provides that critical integration. Rather than the old batch modes (e.g. daily uploads and downloads) for ordering and delivery, they are building real-time, bi-directional integration, both for sending the orders to the route planning system and checking the status of orders. With the click of a button, orders are sent from NetSuite’s Order Management system to Descartes’ Route Planner On-demand. Routes are generated and executed with dynamic dispatching and execution and integration with drivers’ mobile devices. 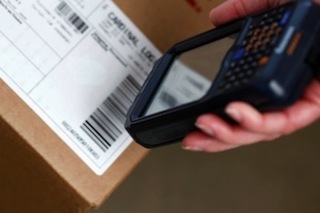 As shipments are scanned onto and off of the truck at pickup and delivery points, the order status can be updated in near real time back into NetSuite's order management system to provide continuous, accurate, up-to-date order status and visibility. The first phase is expected to be available in January 2014, which will include order creation and cancellation, route planning and execution, and sending the route plan and actual status information back to NetSuite. All the information will flow back into NetSuite, including signature captured at delivery, and any comments that the customer made at the point of delivery, such as OS&D,3 and pictures of damage. The frequency of sending information in both directions is configurable and can be as often as needed, even once a minute. One of the most exciting sessions of the conference was on Descartes Community by Chris Jones, Descartes’ EVP Marketing & Services and Kevin Gavin, VP Supply Chain Compliance. Chris pointed out that logistics is inherently multi-party and that logistics excellence only comes by working well with others. A key goal of the Community is to connect organizations and people to facilitate multi-party processes with partners. Today Descartes Community is mostly about sharing knowledge, wisdom, and advice between members. Looking to the future, the vision is for the community to be increasingly about sharing data as well. 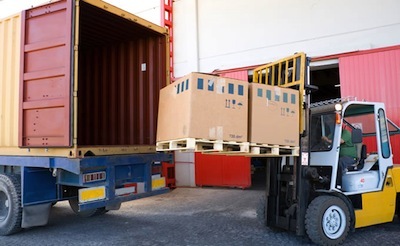 For example, a supplier to a retailer wants to find other suppliers operating in the same shipping lanes to explore opportunities for co-loading. Both might be members of that retailer’s private community and in a controlled way sharing what they ship from where to where. Looking further out, there will be a geo-mapping and analytics, mapping the transactions and how they move. Descartes will try to harness the billions of messages they currently process per year (almost 5 billion this year) to derive new value for members. They understand they do not own that data, so they have to be trusted to let the owners of the data decide exactly which partners they want to share which data with. This is an incredibly powerful vision. The possibilities for building more dynamic multi-provider services and finding opportunities to better utilize assets are just some of the really promising ideas. As Chris said, “…the journey has just started. We are giving you the keys to the car.” It will be exciting to see where Descartes and the community members take this new capability. 1. Message compliance is critical to the successful management of business. Poor data creates errors and delays as well as instigates fines for outright revoking of licenses to sell products in a country. 2. EU and US require product tracing in several industries—Food, Pharma, as well as emerging standards for consumer products. No compliance means fines and lost business. 3. Retailers now require media and data standards to enable them to communicate (EDI and AS2 protocols), as well as leverage the data for print and online catalogues. GS1 recently hosted a series of working sessions with retailers and suppliers to work through media standards and methods for hosting them. Some of Descartes’ EU customers may already be using the 1WorldSync4 data synch, which is used by about 14 retailers. In the US, efforts to create common industry-wide data sync have yet to become widely adopted. The reality is that end-users are already paying their technology/integration companies to host, translate and manage their data. Today cloud-based solutions like Descartes (and others) can act as the de facto data sync of the retailer and their suppliers, or of a major manufacturer and their huge network of suppliers. People may not describe their solution provider as being a data synch hub, but practically speaking this is what is happening. This approach will probably increase as users would rather not pay additional new fees for yet another cloud data pool provider. Descartes is also working to make the Descartes platform more open to the enterprise network. Descartes’ Standard Messaging Formats (SMFs) includes 25 formats for air, ocean and customs filing messages which are made public for use, free of charge, to those wishing to connect to Descartes' Global Logistics Network (GLN). For retailers, OEMs, or carriers who use this network, it seems a good place to link up. Route planning is one of the most important elements of a transportation solution. Descartes has several route planning solutions from their acquisitions. These can meet the needs of different types of logistics: Long haul has its unique challenges, different from repetitive, territory-based deliveries. Global firms may be thinking through how to improve performance by changing modes of transportation. Companies can reap savings from thinking through new transportation routes than can save import/export fees and reduce their carbon footprint, as well as overall transportation spend. Domestic transportation can offer other opportunities. Descartes has moved beyond the batch modes used by many route planning approaches to provide incremental and continuous optimization approaches. Short haul, delivery in metropolitan areas, for example, requires more dynamic approaches since conditions on the ground change frequently. Several prominent companies gave talks and as well as spent some time with ChainLink to discuss their businesses. You can read about that in Home Delivery Heats Up. We met a high caliber of participants at this conference, attended many interesting sessions, and continue to be impressed by the scope, depth, and innovation displayed by Descartes and its customers.